Nepal's most beautiful mountains, Ama Dablam - the 'Matterhorn of the Khumbu'. Looking For Everest View Trek ? while for lots a visit to the foot of Mount Everest is a personal aim, for some, it's miles enough to visit the Everest or Khumbu place and enjoy the lifestyle, the people, and the magnificent scenery. The Everest View trek is a shorter trek than the base Camp trek with the well-known Tengboche monastery at 3870m being the excessive point. it is designed for people who wish to enjoy this location without ascending to excessive altitude. access to the Khumbu is via air into the airstrip at Lukla, and from here we comply with the direction of the base Camp trek to Tengboche monastery. From right here we achieve breathtaking views of Everest because it rises above the Lhotse-Nuptse ridge, in addition to a terrific view of considered one of Nepal's most beautiful mountains, Ama Dablam - the 'Matterhorn of the Khumbu'. From right here we return to Lukla by means of a slightly different path thru Khumjung. 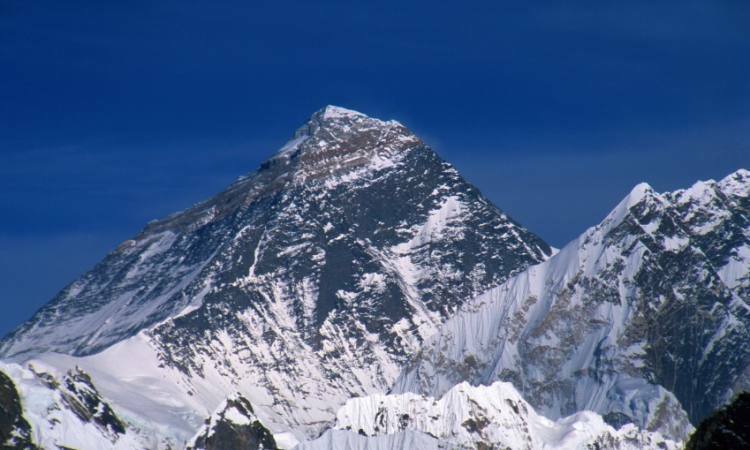 Everest View Trek is a short but classic trek which lets in getting admission to the most impressive mountain views inside the world, in a shorter time frame. accommodation and meals are provided within the local accommodations. Day 02Fly Kathmandu to Lukla & trek to Phakding 4 hrs Early morning Fly to Lukla(2810m.)30min. The Lukla airport often called as Tenzing Hillary Airport is the world’s most dangerous airport. The thrill of landing in such an airport is an added experience to make. From Lukla the Trek begin to Phakding. Phakding is a small village in the Khumbu region of Nepal. It lies in the Dudh Kosi river valley just north of Lukla and south of Monjo, at an altitude of 2,610 m. In this part of the trek we reach to Jorsalle which is the entry point of the Sagarmatha National Park where entry permit will be checked. Day 03Phakding to Namche Bazaar (3446m) 7 hrs Namche is a village and Village Development Committee (Namche) in Solukhumbu District in the Sagarmatha Zone of north-eastern Nepal. It is located within the Khumbu area at 3,440 metres (11,286 ft) at its low point, populating the sides of a hill. Namche is the main trading center and tourist hub for the Khumbu region with many Nepalese officials, a police check, post and a bank. It is also the place for acclimatizing for the trekkers to go further towards base camp. Day 04Trek to kumjung (3780m) 3 hoursKhumjung is the most beautiful village in khumbu.village with uniformly green roofs blend so perfectly with the landscape the attractions of this village Khumjung Secondary School,Khumjung Monastery. Day 05Trek to Khunde 4 hrs Khumjung and khunde are a completely separate community in this place have the we equipped Khunde Hospital and Khunde monastery . Day 06Khunde to Phakding O/N Lodge the steep descent of about 1500ft/500m leads through rhododendron forests and fir trees to the Dudh Koshi River. We cross the Dudhkoshi river and we pass the beautiful village of Namche. Upon arrival at this juncture, we can have the gorgeous Ama-Dablam, Thamserku, Nuptse, Lhotse and Everest once again. Day 07Trek to Lukla O/N LodgeThe last day of trekking. At this juncture we will have fun while trekking with some songs on popular nepali folk tunes, we will share the pictures that we took and the memories that we cherished. Upon reaching Lukla we will give rest to our mind and body. Backpacker believes in providing home away from home experience for our valued guests. The accommodation in Kathmandu would be of your choice and level. However, the usual accommodation provided by the company is three star or similar upscale Hotel in downtown. The lodging in trekking would be clearly mentioned in the itinerary.